We're still officially on break this week but I've created this puzzle episode for you to play with before we return with a new episode next week. Can you figure out what I'm looking for based on 5 audio clips, 2 numbers and 1 two word question? 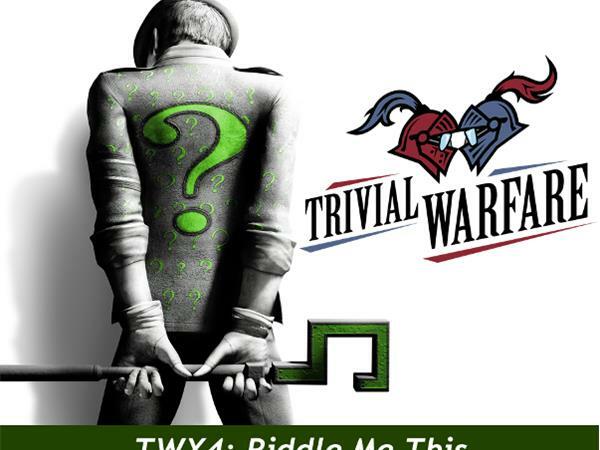 The first three people to send in a right answer to trivialwarfare@gmail.com will get their names announced as the winner on next weeks show. Only one answer submission will be accepted.